This holiday my mom also made japchae which is another traditional New Year's dish. 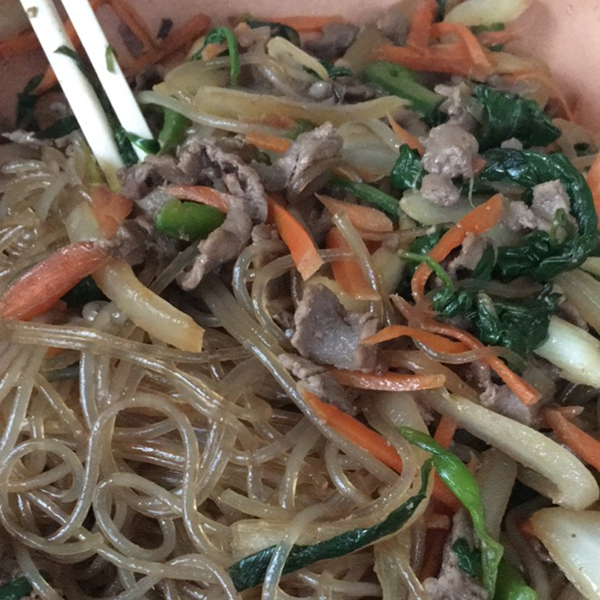 It is sweet potato noodles mixed with beef and veggies like spinach, carrots and onions. 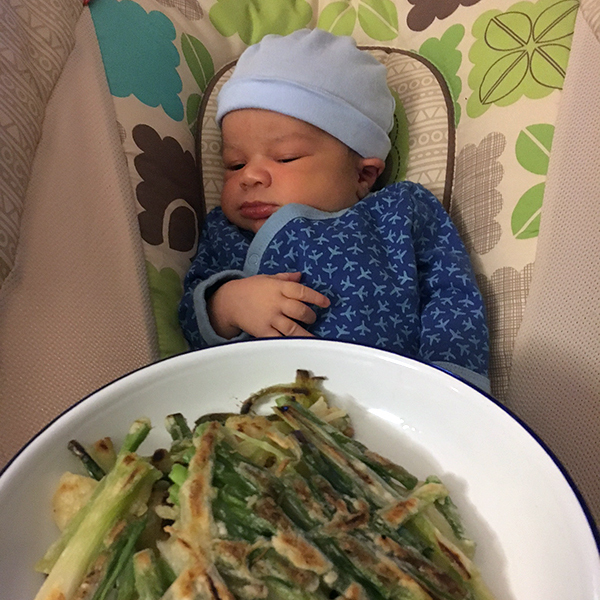 Pajeon which means "onion pancake" is usually a New Year's Day dish but we had it on New Year's Eve. We offered some to Jackson but he only gave it the side eye. 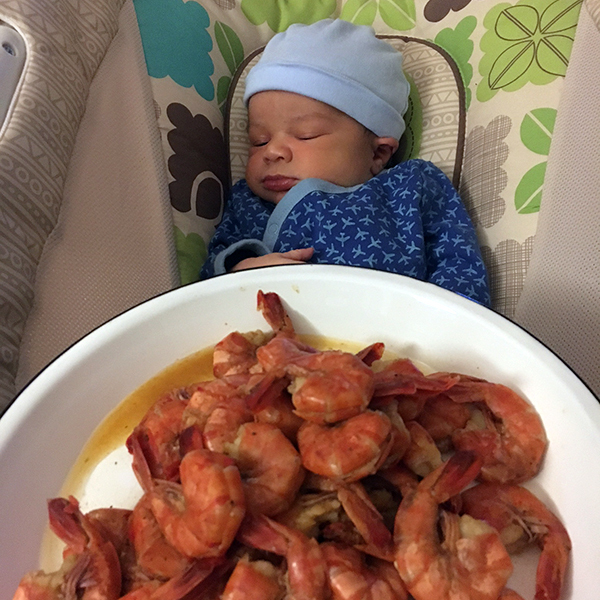 We also had our usual steamed shrimp in Old Bay seasoning. He completely fell asleep when offered that. He is such a little cutie! Looks like yummy food to start off the new year! We had that same airplane outfit for my boy! So cute!